PORTLAND, OR, 8/14/2018 — Image Comics is pleased to reveal the first cover in a line of “Impact variants” for Warren Ellis and Jason Howard’s CEMETERY BEACH. Each cover will be by Howard, but drawn in the style of an artist who made an impact on his work and influenced his creative career. 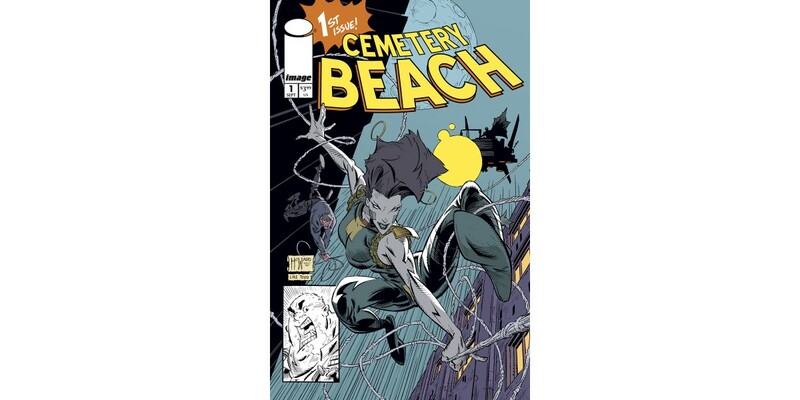 CEMETERY BEACH #1 Cover C will kick off the line by paying tribute to the iconic Todd McFarlane. “As a kid seeing Todd’s art for the first time opened my eyes to the fact that comics were drawn by different people,” said Howard. “I was already artistic, but Todd inspired me to focus my creativity on COMICS. These covers are a way for me to give a public nod to artists who’ve made an impact on me, and have some fun trying to capture elements of their style." CEMETERY BEACH #1 will hit stores on Wednesday, September 12th. The final order cutoff for comics retailers is Monday, August 20th.